London is an evergreen destination for good food. A true cosmopolitan city, it offers an extensive variety of popular cuisines from all around the world. Home to some world-famous cafes, Michelin star restaurants and popular eating joints makes London a favourite destination for lovers of food. From food pop-up stalls to markets that excel in street food, London has it all. 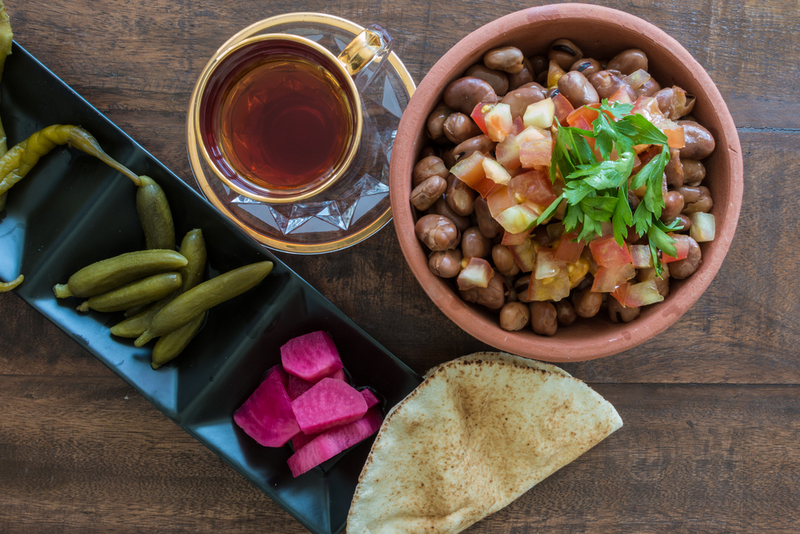 The cuisines from Middle Eastern countries has been gaining popularity since many years and if you are fan of the shawarmas and the shishas then you need to visit one of the buzziest streets of London- Edgware Road. The moment you step on this road you will feel the amazing vibe of food, shisha and people chilling here in lounging lights. To be close to this lively street you must book your stay in a hotel that is centrally located. An ideal hotel that keeps you close to this road and other prime attractions is the luxurious Park Grand Paddington Hotel. Here you will be welcomed by impressive services, modern décor and facilities that will make your stay super-comfortable. Moments away from transport links, it keeps you well connected with the other parts of the city. Ideal for all types of travellers, this hotel provides the ultimate calm and relaxation in the heart of the city. Once you stay here you will want to come here on every trip of yours to London. • You can reach this iconic street by getting down at the Edgware Tube Station that is served by Bakerloo, Circle, District and Hammersmith lines. • Apart from the Middle Eastern food, here you will find a variety of Arabic and Middle eastern shop that sell the local food and other household items. • Attractions that are close to Edgware Road include Speaker’s Corner, Oxford Street and Bond Streets shops, Marble Arch, Hyde Park, Lisson Gallery, Wallace Collection, Madam Tussauds, Sherlock Homes Museum and more. • It’s a great place for people who love the shisha or hukkah, offering outdoor seating and blankets that you can enjoy with your friends or family. You will be offered to sit under the heaters in winter months. You can enjoy the shisha with your drink and food. The shisha is available in a variety of flavours here. • This place is also famous for many Middle Eastern desserts that are served in lavish bakeries here. You can enjoy some Arabic baklava, ice-creams and other delicious desserts. • Enjoy the music here. Most of the restaurants and cafes here play the classic Arabic music that makes the environment more authentic and cultural. • This iconic road and its signature location has become so popular for it’s food and environment that it is now considered as one of the attractions of London. To enjoy all the above-mentioned specialities of this area and more things to do around it you must book a convenient hotel near the Paddington Station. Share the post "Edgware Road: The best place to enjoy the cuisines of Middle East"